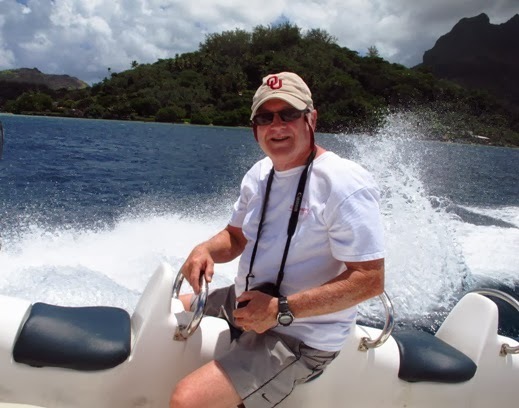 When traveling, I enjoy water activities, so that made a trip to the South Pacific a no-brainer. 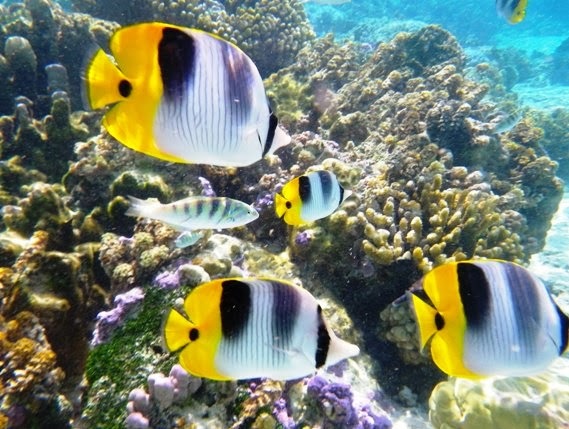 With coral reefs surrounding most of the islands, and protected lagoons available for snorkeling, we were guaranteed to see beautiful natural formations and a good variety of fish. 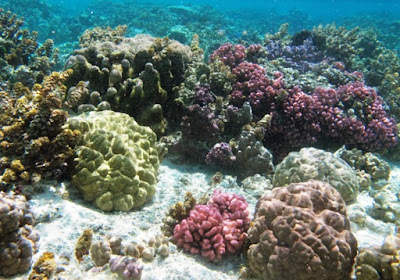 Coral is found in variety of colors, shapes, and formations. After arriving in Papeete, Tahiti by plane, we boarded the Oceania Marina for a 10-day cruise that took us to several of the Society Islands, Marquesas Islands, and Tuomoto Archipelago, where we visited two atolls (narrow strips of land surrounded by reefs). 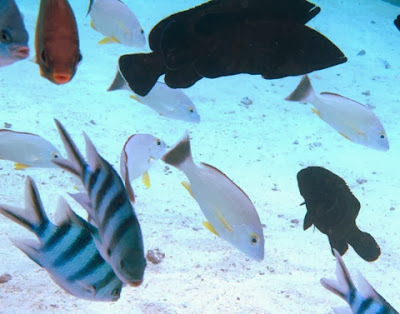 These photos provide just a small sample of the outstanding opportunities we discovered to watch, enjoy, and record flora and fauna off the coasts of several Society Islands. Our first stop was Moorea, second most popular tourist attraction in the Society Islands.where we snorkeled in clear turquoise water with stingrays, sharks, and fish. 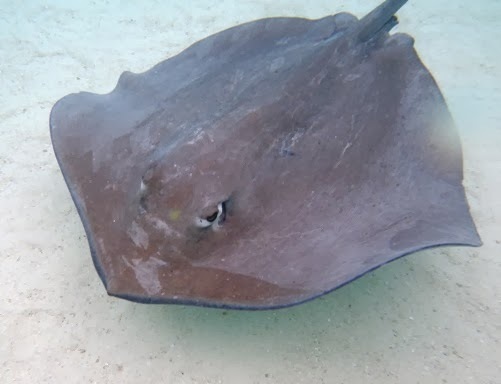 No, they won’t hurt you, although if a ray slides up your back it could startle you. This heart-shaped island features dramatic interior mountains and lots of Polynesian history and lore. Next, we spent two days at Bora Bora, perhaps the best known of the Leeward group of Society Islands in French Polynesia. A major international tourist destination, the mountainous landscape, lush tropical vegetation, and beautiful beaches make Bora Bora the ideal South Pacific island. We took a speed boat ride around the island before stopping to snorkel just short of the reef. Fish were plentiful as we dove down wearing helmets. The following day we did a helmet dive in a lagoon that is one of the most beautiful dive spots anywhere in the world. 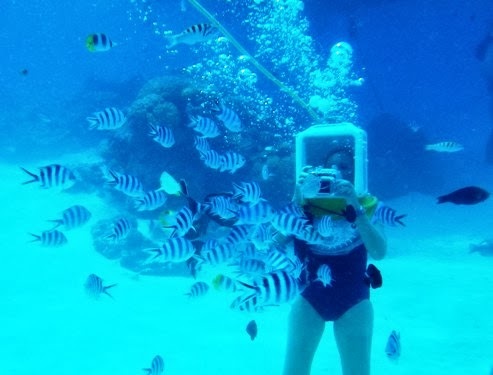 With the heavy helmet in place on my shoulders, I was able to wander along the bottom of the lagoon (about 10 feet deep) while breathing normally. Fish swam so close we could actually reach out and touch them. What a grand photo opportunity! 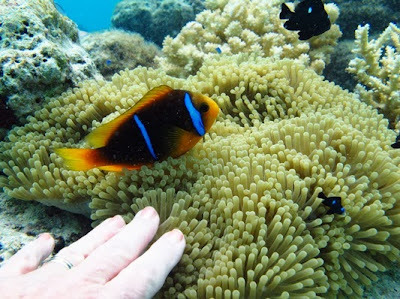 We could even touch soft coral and watch fish swim by. enter the water and ride the current back to the boat (no swimming or paddling necessary). Too many fish species for me to name! 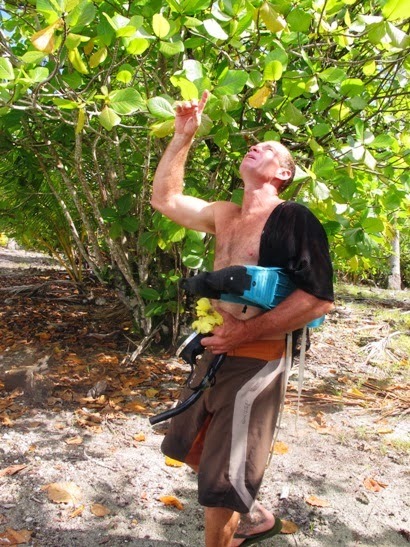 Our guide plucked a hibiscus flower to rub on masks. 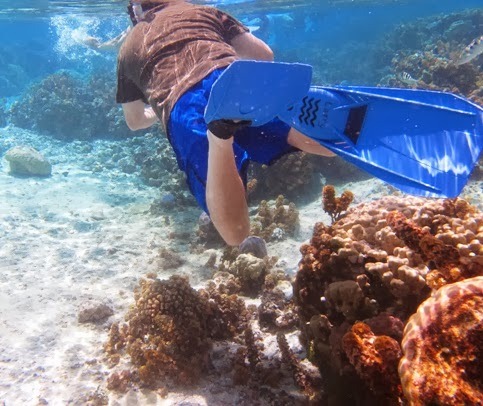 It was called a “drift” snorkel, but the current was so strong that we moved very quickly through the water, trying our best not to bump into other people or catch a fin in the face. 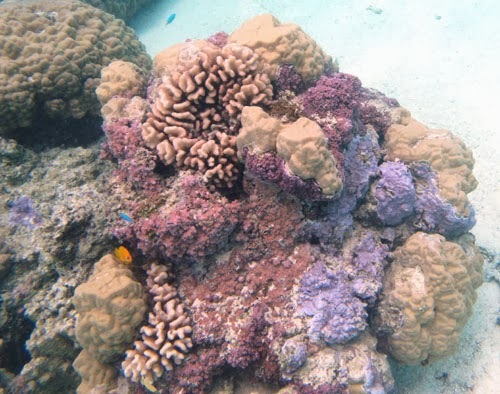 Since clearance over the coral was low and the channels narrow, we really had to pay attention to our surroundings to avoid getting tossed into sharp coral formations. 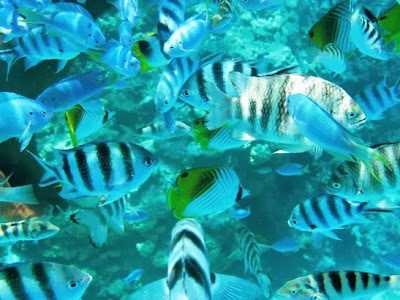 Still, I was up for the challenge and made a second run through the coral reef. Coral was incredibly beautiful in clear water. The strong current carried us over the coral.